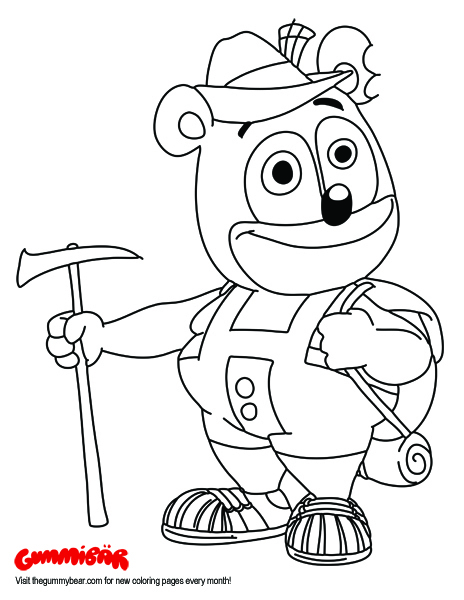 Download a Gummibär September Printable Coloring Page! Yee-haw! Take a gander at my cool cowboy duds and swingin’ lasso! Get yer paws on this printable coloring page by filling out the form below. It’s free! 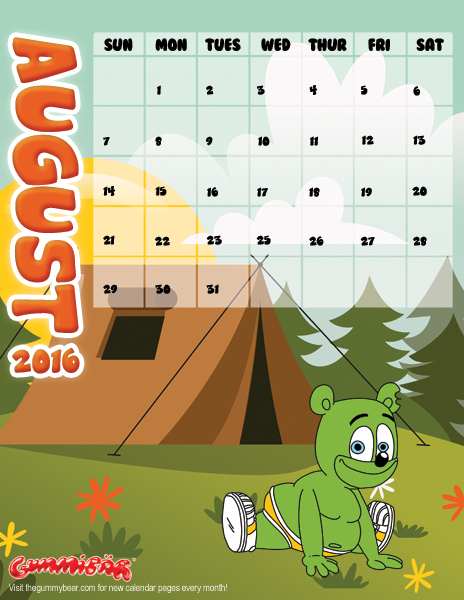 Download a Printable Gummibär September 2016 Calendar Page! It’s September! Time to head back to school!! …Wait, do I still go to school? Keep track of all your homework with this printable calendar page! Just fill out the form below for your download! It’s so fun to go outside! There are so many things to see and do!! 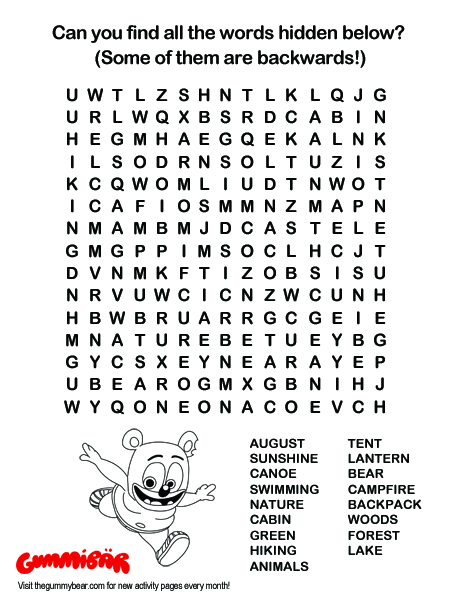 Here’s a neat wordsearch activity page! Just fill out the form below to get it! I’m going hiking today! Do you like my festive outfit?? 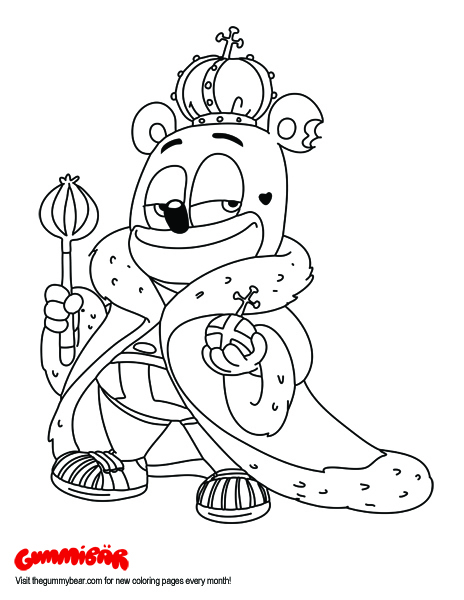 Get this Gummibär coloring page by filling out the form below! So fun! It’s so nice outside! Hey, do you wanna come camping with me?! Grab this cool new August 2016 calendar page! Fill out the form below for your free download! Whew, it’s sooooo hot outside! I feel like I’m melting!! 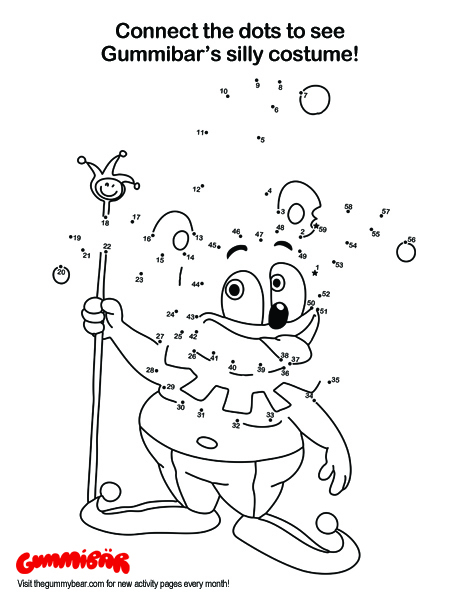 Download this free funny coloring page by filling out the form below! Summer is finally here! Ahhhhh, it’s so hot!!! Stay cool this month by downloading a June 2016 calendar page! Just fill out the form below for your free download! Wow, I look ridiculous! And I wouldn’t have it any other way!! Fill out the contact form below to download your activity page! 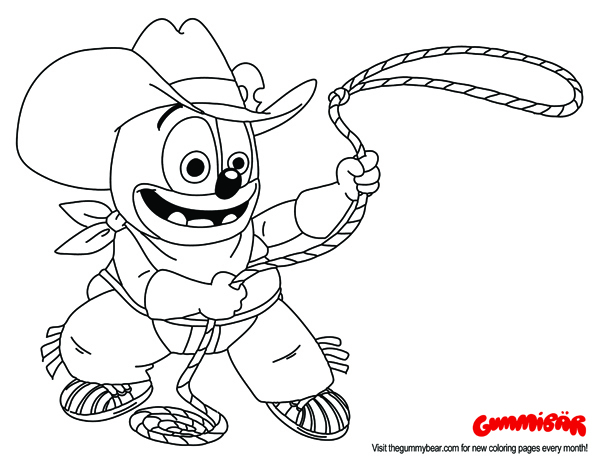 Download a May Gummibär Printable Coloring Page! Gummibär, King of Gummiländ, Ruler of the Realm and Keeper of the Candy! Download this sweet printable coloring page by filling out the contact form below! 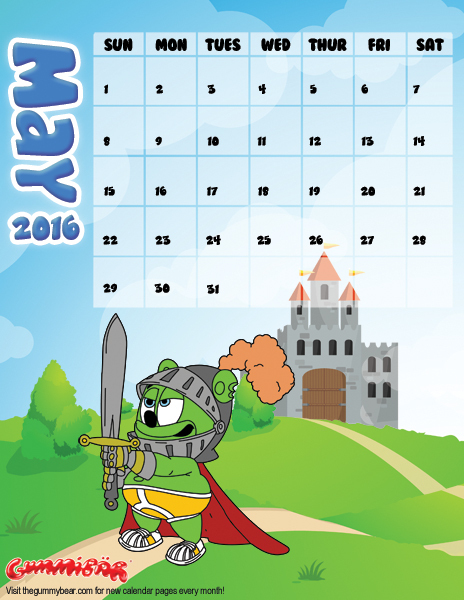 Download a Printable Gummibär May 2016 Calendar Page! The enemy approaches! Not to worry; I, Ser Gummibär of House Greenjoy, shall protect the castle! You can receive this super cool May 2016 calendar page by filling out the form below!